Import General Manifest – IGM. How important in Import? Who files Import General Manifest? Why does Import General Manifest need to be filed? Is mandatory to file Import General Manifest? When to file Import General Manifest? Where to file IGM? Who does file Import General Manifest – IGM? 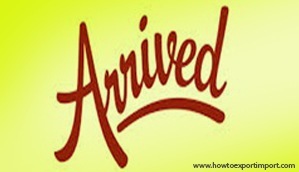 Import General Manifest is filed by the carrier of goods once its arrival at a destination port customs location. Once after arrival of goods at destination port, filing of Import General Manifest is mandatory. Import General Manifest (IGM) notifies customs department of importing country by carrier of goods about the details of goods arrived to such customs location. Once after arrival of goods the carrier files details of cargo about shipper, consignee, number of packages, kind of packages, description of goods, airway bill or bill of lading number and date, flight or vessel details etc. with customs department. In some countries, the IGM can also be filed before arrival of goods. Now days, Import General Manifest details (IGM details) are electronically linked with Export General Manifest (EGM) of load port. However if any short shipment arrived, such electronic linking can not be considered to file import documents for importer or his customs broker. A specified format is available with each customs location of a country which can be filed manually or electronically as per the guidelines of respective customs department of each country. If final destination of consignee and customs location is away from sea port air port of destination where in inland movement is required, how is IGM be filed? Have you satisfied with this article about Import General Manifest under Import of goods at final destination? Would you like to explain more about IGM – Import General Manifest? Share your experience and thoughts on IGM – Import General Manifest. M Ramki: On 18 June 2013 Who should file the IGM for shipper own container? The one who has the master Bills of Lading or the owner of the container will file the IGM? Shrirang Mulik: On 30 November 2013 Can owner of the vessel directly file the IGM or Agent is necessary. What is the procedure for filing IGM for scrap vessel having Indian flag but build in foreign country? rajkumar: On 06 October 2015 For example If an Import shipment is arriving Into India for final Destination/Delivery at ICD-Hyderabad the Gateway port or Port of Discharge would be either NHAVA SHEVA or CHENNAI PORT. In such case the IGM will be filled at Discharge port itself by the Liner itself, which is reflected at the Destination also and as such there is no need to file again a IGM. Above is in case of FCL Containers, however incase of LCL shipments a sub IGM will be filled by the Forwarder at the final destination point. Armin Behbehani : On 11 August 2016 We are a trading company located in Iran and we mainly export polymers to India. please kindly find my questions as below: 1- Most of the time we have got problem with our customers in India for payment when IGM is filled under their names and they know that we need their LOI for returning of the containers to our country. I do not know whether this is due to IGM or bill of entry (which I have heard they can get with BL copy) but I know that there must be a way to avoid this issue. 2- Is it possible for a foreign company to import polymer to India and sell its cargo DDP? If yes, how much would be the cost of clearance per MT? (approximate percentage) It would be nice if you can help me in this regard as I do not have any other option to seek the answers of my questions. ronak: On 13 February 2017 its good for teach the hole part of igm, i have surprise to read and make sure that its improve for all job seekers and businessmen. Jagdish Maheshwari: On 14 December 2018 How to file IGS for SEZ delivery within same SEZ.